Bird feathers and eggs is a natural history nature art watercolor titled Feather Study I original artwork by Laurie Rohner. 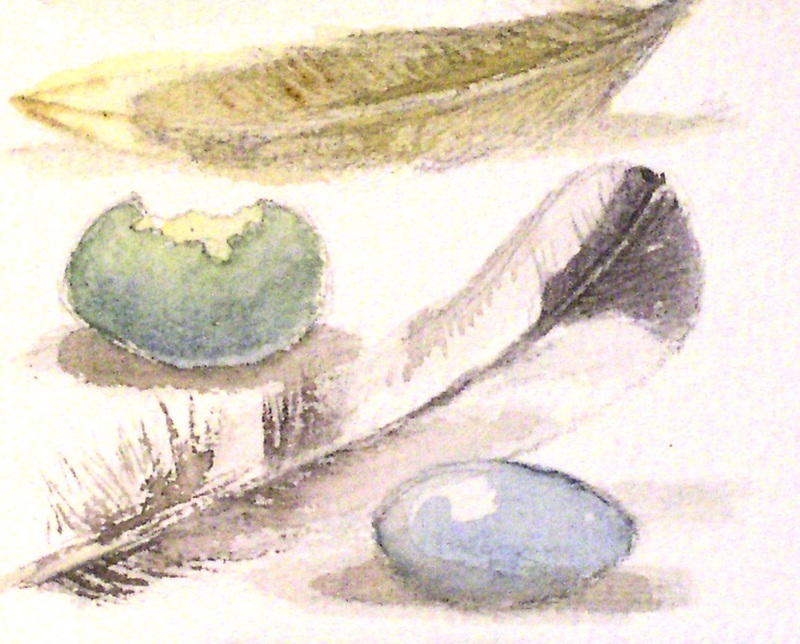 An assortment of feathers and two little wild bird eggs complete this nature study of woodland birds. 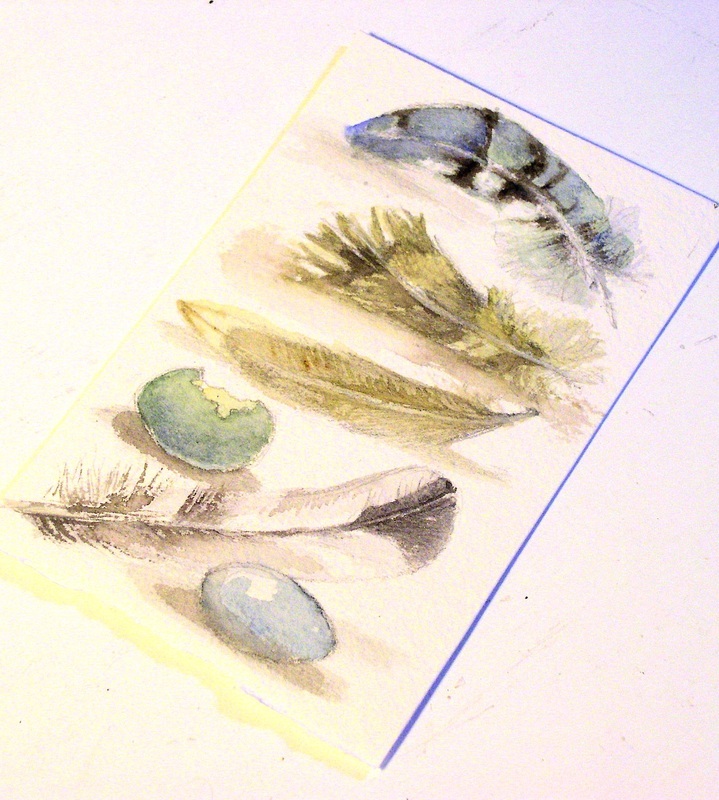 The painting is a illustration with graphite then subtle colors of watercolor are laid on top. 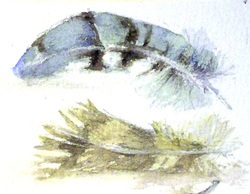 Simple just as nature is herself.